UPDATED: Wed., Aug. 15, 2018, 7:27 p.m.
KABUL, Afghanistan – A suicide bomber struck a private education center in a Shiite neighborhood of Kabul on Wednesday where high school graduates were preparing for university entrance exams, killing 48 young men and women and leaving behind a scene of devastation and tragedy. It was not immediately clear how the bomber managed to sneak into the building, used by the Shiite community as an education center, in the Dashte Barchi area of Kabul. 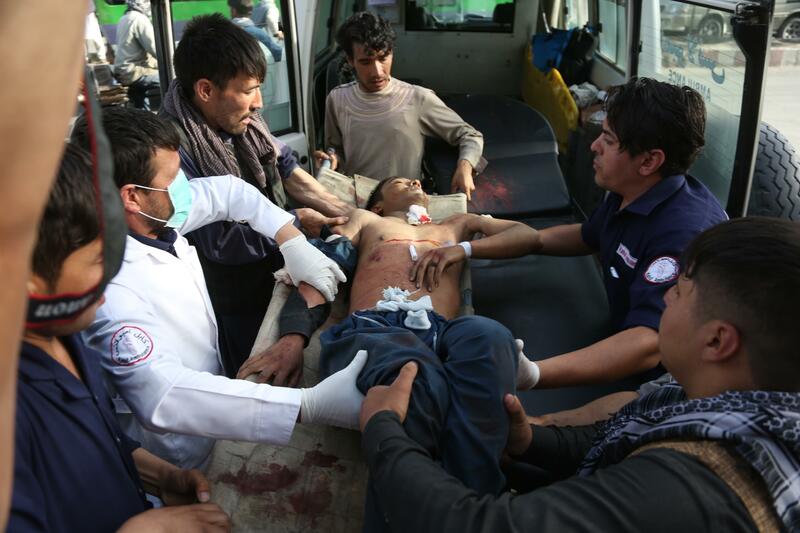 The spokesman for the public health ministry, Wahid Majroh, said 67 people were also wounded in the bombing and that the death toll – which steadily rose in the immediate aftermath of the bombing – could rise further. He did not say if all the victims were students and whether any of their teachers were also among the casualties. Afghan President Ashraf Ghani condemned the “terrorist” attack that “martyred and wounded the innocent” – students attending class – and ordered an investigation into the attack. Published: Aug. 15, 2018, 9 a.m. Updated: Aug. 15, 2018, 7:27 p.m.